We have all formed opinions of what we believe is going to transpire in the coming hours and I assume that you have your supporting arguments. What I do implore you to do is to make an honest assessment by introducing an ounce of objectivity into your analysis of these fighters and their abilities. These gentlemen have a history and a bitter one for both parties. Manny Pacquiao was clearly robbed by some blind decision made by two judges who will not rendering their services tonight. Bradley did himself no favour when in days following the bout claimed to have assessed himself the victor. This was clearly a false gospel that did not endear him to the boxing masses. We saw no fault in his skills and ability but relative to Pacquiao’s he was not the dominant fighter. He proved his worth he earned our respect but the boxing gods know that Pacquiao was the better fighter and his reign should have not come to an end on a paper decision. Duane Ford, with due respect sir, your efforts were lacking and not representative of the calibre you should have exhibited. It is for reasons such as these that we need a reform in boxing, that all participants, judges and referees be held in account for their decisions. If I were president you would never oversee another bout. In this past week I have spent time reviewing their first bout and their respective engagement there after. I must give Bradley credit for his approach. This man possess a skill set which is often overlooked and underappreciated by those who worship sluggers. His superior conditioning allows him to inject a high degree of energy into his bouts and this movement often troubles his opponents. Irrespective of the camp of your choosing, we all have to admit that Bradley has established himself as one of the best in his class and has the calibre to prove it. He is the fighter going into this bout with momentum in his favour, undefeated , surviving fights with some of his noteworthy peers. 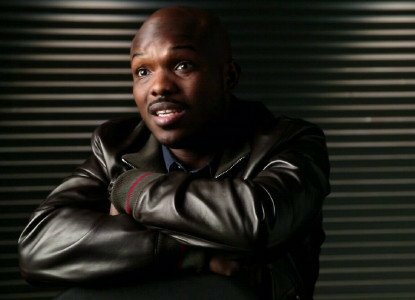 I know Timothy Bradley is going into this fight beeming with confidence, I truly believe that he subscribes to everything he articulates. He has consumed the punishment that many have dished upon him yet somehow he has found a means to establish himself and exploit the opportunities afforded to him. He is the Lazarus factor and knows when to give up. Timothy Bradley greatest assets going into this bout are his mental resolve, granite chin, athletic capacity and distinguished boxing ability. He cannot even dare exchange blows with Pacquiao or else he may find himself in world of trouble, no fighter he has faced hits has hard with the unparalleled frequency that Manny Pacquiao is capable of. If he is to have a chance he has to move, slip and box. Manny put up a good performance in his most recent bouts against Rios however it was given that he was going to win and it served its purpose well. Rios is not on the same level as the likes of Bradley and Marquez. Some circles in Vegas have him going in as the favourite. It matter not for the pressure is on him tonight. Bradley can almost afford to lose; Manny Pacquiao has no such luxury. A loss here would spell a certain end to highly heralded career in the ring. However I do not believe such an occurrence will be taking form today. Although many including Tim Bradley have questioned Manny’s mental state and drive, I do not think going into this bout that it will be found lacking . I truly believe that Manny is aware that tonight he has to increase his activity to feverish level, darting in and out striking Bradley with powerful punches. Manny has experience, power, and speed coupled with a notably solid chin. We all know that he possess innate ability to absorb punishment with a smile yet launch his own devastating blows. The first segment of our assessment should be based on their first encounter , then their subsequent bouts, skills and asses if the possible extrapolation is plausible. In assessing their encounters it is clear, that there is nothing that Bradley can present to Manny that will leave him on the backfoot or on the canvas. Whatever Bradley can throw, Manny can do so and reply with unhinged power. Bradley did well to fight through an injury but even void of this injury he stood no chance against Manny Pacquiao and tonight, I foresee Manny frustrating and breaking Timothy Bradley down. Tim has the better record since their encounter but that alone is not suffice. In terms of ability I still pick Manny Pacquiao it is that which is going to make tangible contribution to his victory tonight. Timothy Bradley will bare witness to the Philippines Typhoon embodied in a man whose heart was questioned and never found lacking. I predict Manny Pacquiao will win either by K.O. or majority decision. We salute these warriors for the bout we are about to witness. Amen.